Add: Baker-Howland, Saba, Bhutan, Kingman Reef, Easter Island, Kure, Fiji, Spratley, Conway Reef, Palmyra and others ..... 4,600,000 QSO's and counting. 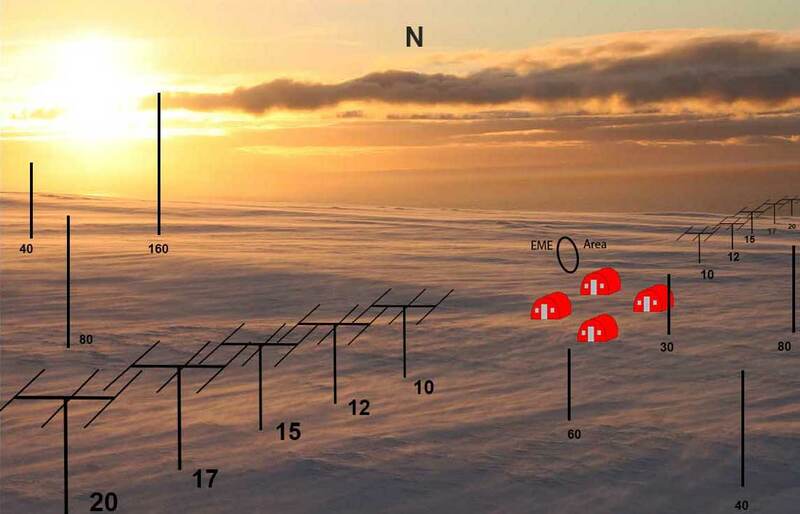 This is our proposed camp and antenna layout for Bouvet. The Yagi antennas are along a line running from 240 degrees to 60 degrees. This enables us to prevent our beams from pointing into each other when aimed at Japan, Europe and North America. Our EME site can access the moon in the northern sky without the beams pointing at shelters and occupied areas. 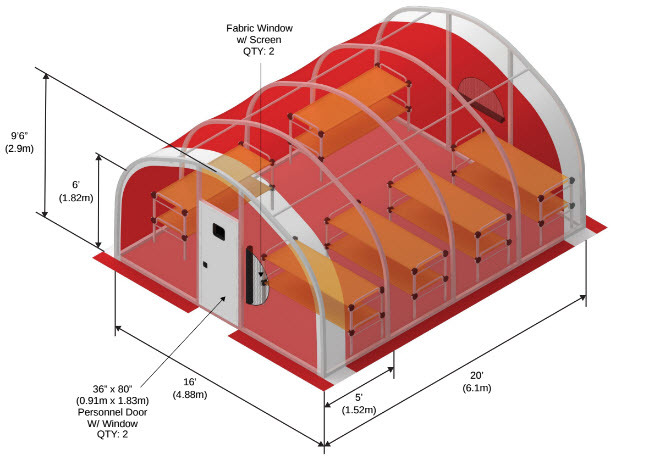 The shelters will be centrally located and the verticals will be deployed to minimize interaction. 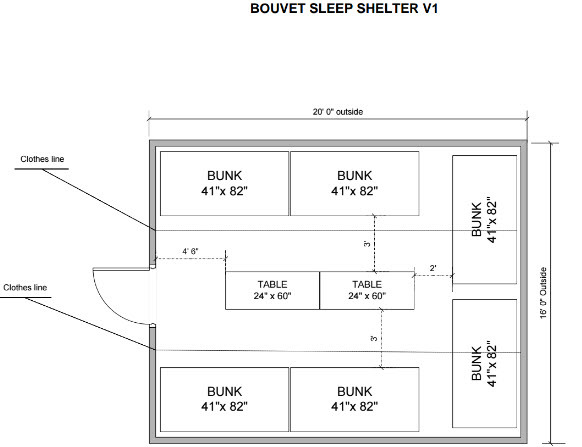 We will have four shelters on Bouvet: Two sleep shelters, one operating shelter and one shelter for eating, meeting and break time. 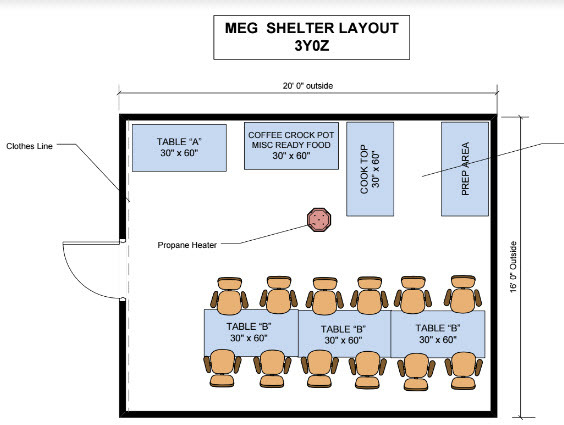 We have come to call the later the “MEG” shelter (Meeting, Eating and Greeting). We will heat the operating shelter and the MEG. 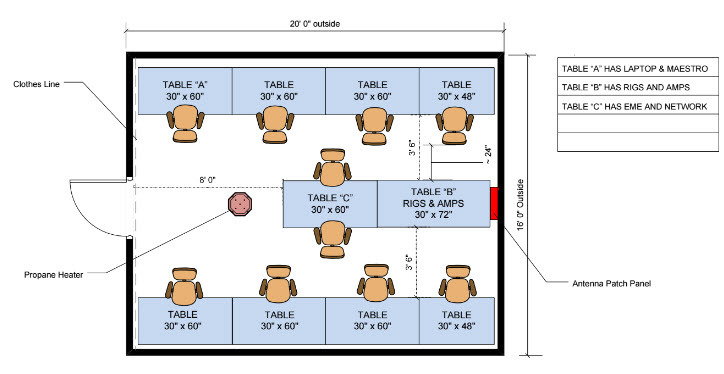 As on previous Antarctic DXpeditions, we are not planning to heat the sleeping shelters for safety reasons. 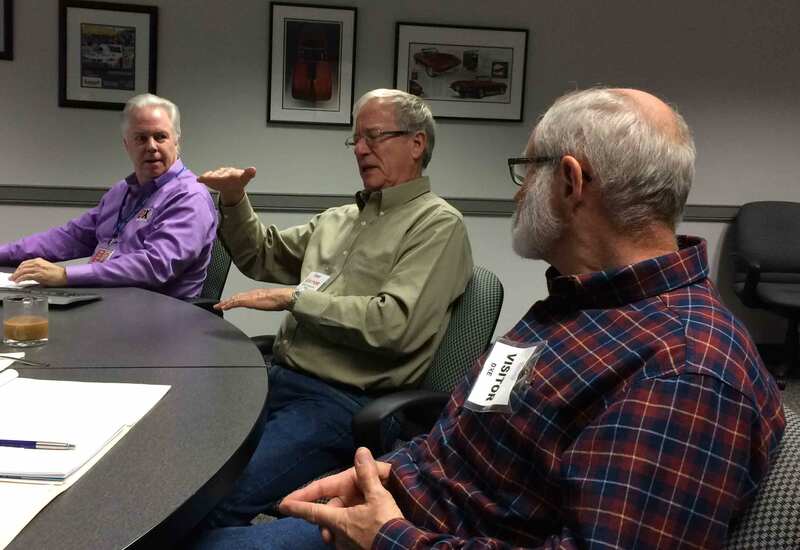 Team members N9TK, KØIR, WØGJ, W8HC, WB9Z and chief pilot, NV9L met with DX Engineering to discuss the 3YØZ DXpedition. 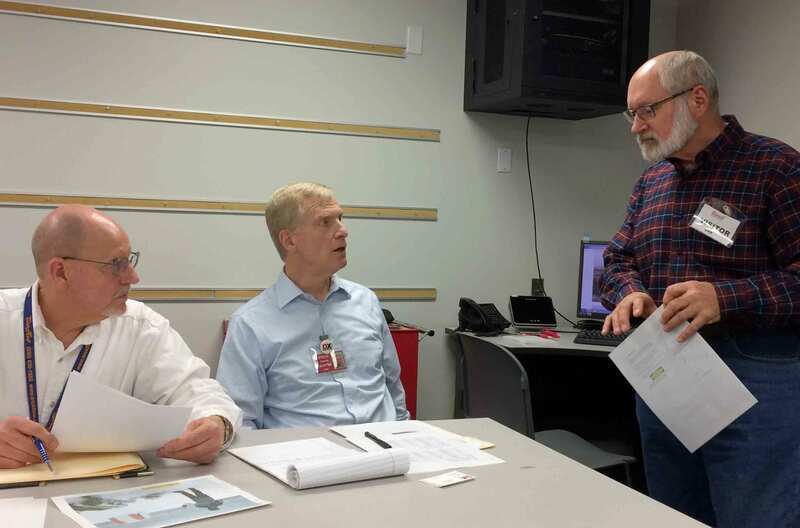 On the left, WØGJ discusses tilt-over mast plans with DX Engineering engineers. On the right, KØIR describes snow anchors, while K3LR (left) and WØGJ (right) look on.